The Gift Shop at Toronto's First Post Office boasts an impressive collection of books on Toronto heritage and history. 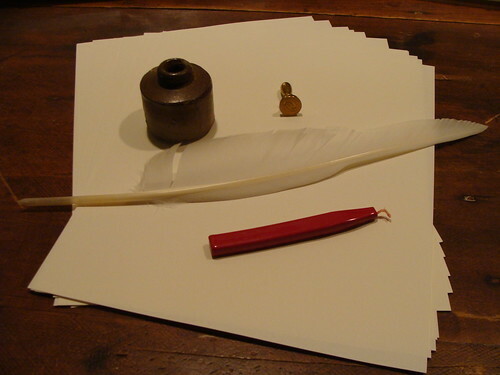 We also stock Letter Writing Kits, featuring a supply of 100% cotton rag paper, a freshly-cut quill pen, a vintage penny inkwell, your choice of brass seal, and a wax taper to seal your missives. Check back often for our popular, house-made, one-of-a-kind vintage stamp packs and pins. For paper fans, we stock Toronto-designed and printed stationery with new treasures added often. Drop by and see what's new and noteworthy!